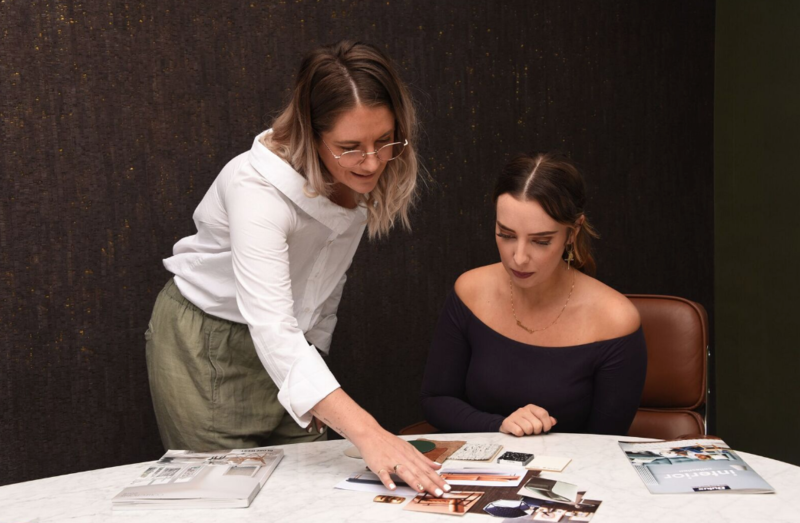 Whether you have a small room or generous area with high ceilings, painting one of your walls black or selecting black textured wallpaper will instantly add drama. Black walls work best in rooms with great natural light and elements to enhance the dark surrounds rather than work against them. 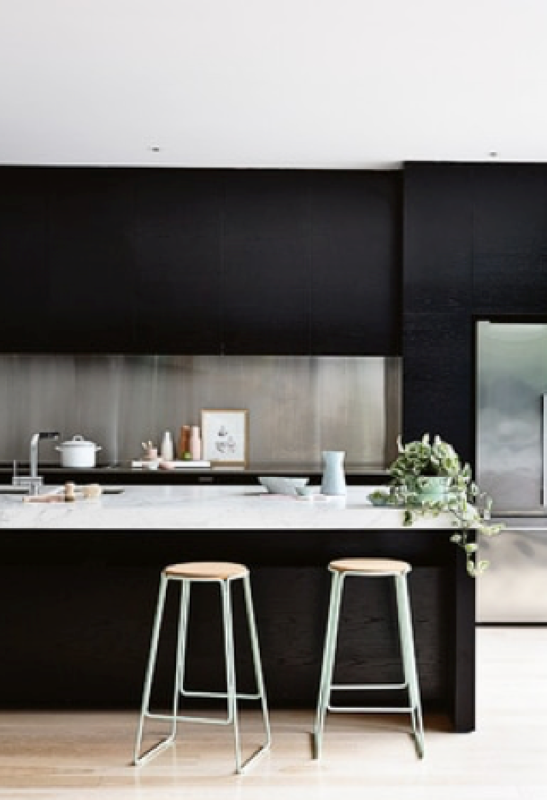 Although the combination of black and white is a timeless and winning format, black also works well with various timbers, stones, metallics, vivid colours such as jewel green or navy and softer hues like blush. The texture is also another prerequisite when using black as tactile and plush fabrics help to temper its intensity. Using black in both the kitchen and bathroom can have stunning effects also. Sleek and modern, black cabinetry or countertops create a dramatic statement while black appliances are an easy way to add a contemporary touch. Likewise, the use of back wall tiles or smaller details such as black tapware or cabinetry handles generates a sense of refined luxe in the bathroom. And being such a versatile hue, black doesn’t have to be limited to your interiors only. If your colour pallet allows, create an impact by painting your entrance door black or if you are really game, your whole home! Again texture plays it part, think painted brickwork or charcoal timber stains.